The Scuderia Ferrari, the world’s most prestigious Formula One team, was first founded back in 1929 by Enzo Ferrari. Last Friday on the 15th of February, the Italian team celebrated its 90th anniversary and officially disclosed to the world the new SF90. The SF90 is the 65th car built by Ferrari to compete at the Formula 1 World Championship. The car was produced based on the new regulations, which required many changes compared to the 2018 car. As expected, the car is characterized by its dark crimson tone with black in matte finish. There didn’t seem to be any major changes to the design, the only noticeable thing was the front and rear wings. 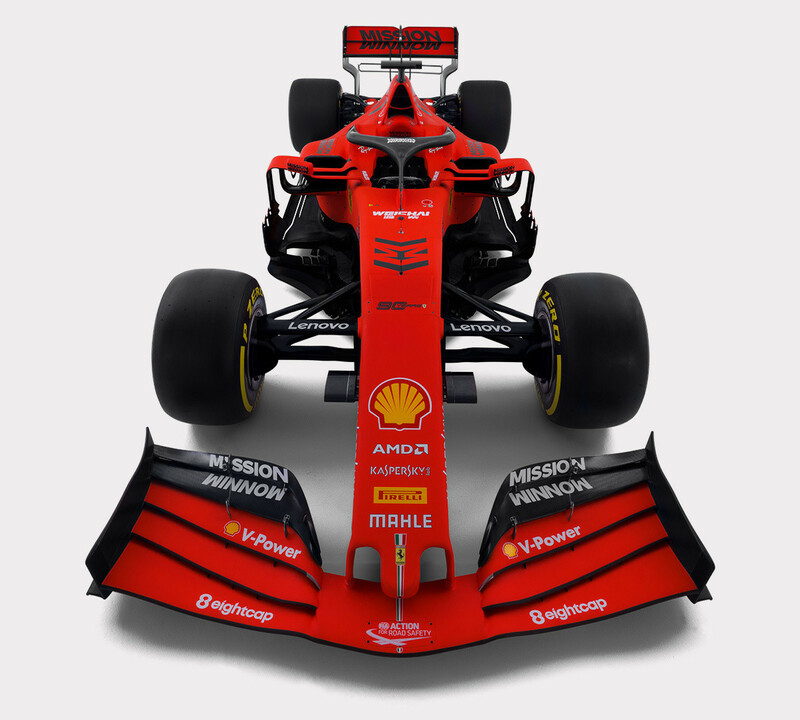 The front wing seems to be a little bit wider while the rear seems to be both wider and higher. The total weight of the vehicle increased to 743 kg, including the drive. The fuel weight for the race increases from 105 to 110 kg. The SF90 is the sixth car to be built in the current hybrid season of Formula 1, which began in 2014. بالفيديو: حطّم لامبورغيني بقيمة 280 ألف دولار أمام الجماهير! موتورشو الشرق الأوسط: نستعرض ونجرّب جميع أنواع السيارات والمركبات من كافة أنحاء العالم لخدمة متتبعينا ومحبي السيارات في الشرق الأوسط. على موقع موتورشو ستجدون الآلاف من الصور والفيديوهات الخاصة بالسيارات وعالم المحركات، بدءاً مع الطرازات الجديدة، السيارات الخارقة، الدراجات، السيارات الكلاسيكية، وصولاً لعالم الفورمولا 1، بالإضافة إلى تقارير خاصة بالزوارق والطائرات والسلامة العامة، كل ذلك من إعداد وتقديم مهندس السيارات والمخرج السينمائي نديم مهنا وفريق عمله المتخصص.